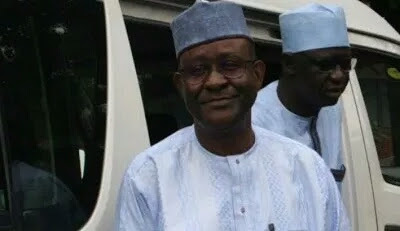 Justice Nathan Musa of the High Court in Yola, Adamawa State on Monday sentenced the State’s former Governor Bala James Ngilari to five years imprinsonment for awarding contract worth of N167,812,500 for the purchase of 25 units of operational official vehicles for the state without compliance with due process. The Judge, in his ruling made his decision in line with section 58(5) of the Public Procurement Acts. He said: “the law hands of the laws are tied to convict any person found guilty of breach of procurement acts to be sentenced to less than five years imprisonment. 0 Comment to "Former Nigerian Gov. Sentenced To Jail"